Police are asking people to be on the look out for a man acting suspiciously and knocking on doors in Seaford. Officers received two calls on Tuesday (March 21) after a man was going door to door in Seaford asking if residents wanted to sell any items. Sergeant Jenny Abura said: “The reports are the man has forced himself into homes and been overbearing and persistent in asking for items to be sold. 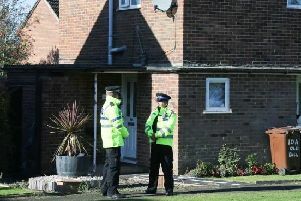 “We are advising residents not to let anyone into their homes and to call police if they feel intimidated. Use door chains on opening the door to unsolicited callers. Refuse entry and take time to check the ID of callers and if not happy with the details. Do not let them in and call us if the person will not leave when asked. Anyone with information can report it here https://sussex.police.uk/contact-us/response-to-appeal/ quoting serial 750 of 21/03.